Web design is important for SEO because it is one of the key things that Google looks for when deciding which websites to place at the top of a search results page. If your website is poorly designed, than your business may not be listed towards the top of a Google search results page. In this article, I will be discussing the four major aspects of web design that you should include in your website, and how it impacts your SEO. The content on your website plays a huge role in how well your websites design is in the eyes of Google. All of the content on your website should be informative, relevant, new, and unbiased. Having good content on your site increases engagement, and increases your chances of other websites wanting to link back to you from their own websites. This is important because the more links you have from third party websites pointing to you, the more reputable your website is in the eyes of Google. If Google can see that the content on your webpage is good, then your SEO grade will increase. In addition to having quality content published on your website, you also need to make sure that the content is legible and easy to understand. Having quality content on your website that people can't read or understand is counterproductive. When designing your site, make sure that the font is large enough, the color of the font goes well with the other colors on the webpage, and that the content is simple enough for everyone to understand. Believe it or not, Google is smart enough to detect if your content does not meet these criteria, so if you fail to meet them, you are really negatively impacting your SEO. When most businesses begin designing their webpage, they only focus on optimizing it for a laptop or a desktop. However, designing your website for smartphones and tablets is just as important because Google takes into account how your website looks on all platforms and not just one. Not only should you optimize your website on all platforms to help improve your SEO, but you should also do it because more people use the internet on their smartphones or tablets than laptops or desktops. According to Statista, as of 2018, over 61% of internet traffic is on small devices, like smartphones and tablets. 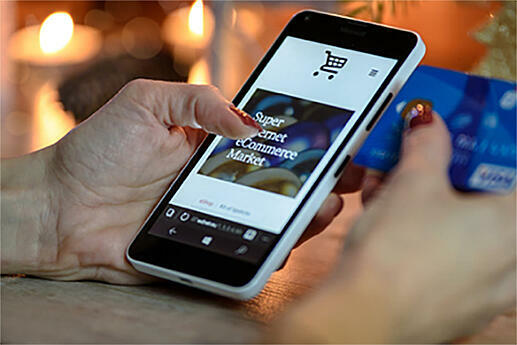 Therefore, designing your website for smartphones and tablets is not only important for SEO, but it is important for your overall businesses success as well. Having a slow website really hurts your SEO because the amount of time people spend on your webpage is another factor that determines your SEO grade in the eyes of Google. If your webpage is slow, then people are not going to want to wait for it to load. According to data collected by Google, 53% of mobile website visitors will leave if a webpage doesn’t load within three seconds. Therefore, making sure that your webpage loads fast will not only improve your SEO, but will also increase your customer engagement as well. In summary, your website design not only has a huge impact on your SEO, but it also has a huge impact on your business's bottom line as well. Making sure that your website has quality content that is easy to read, loads fast, and designed for all platforms will greatly benefit your business, and is something that every business owner should try to achieve.